Suppose, you have completed your engineering and you have joined one organization which is Flagship Company for producing ultra cool bicycle. Your boss has given one task to you for briefing the complete principle and process for bicycle frames design. 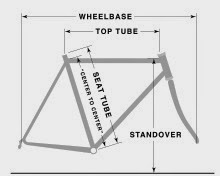 This post will help you to understand the complete principle and process for bicycle frames design. Here we will try to understand the complete concept behind the design of bicycle frame design for an ultra cool bicycle. So let us start, I assure you that you will enjoy this post. So permit me to start the basic concept behind the design of bicycle frame design for an ultra cool bicycle. As we know that approximate 60 to 80 percentage of product cost is decided at design phase, so if we need to reduce the cost of product, we will have to reduce cost of product before design phase. 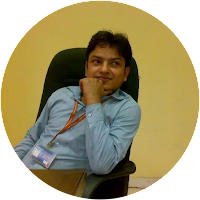 Correct setting of cost of a product is the key of success of business. For example if $20 is consumed to produce a product and product is going to market with sale price of $15 then it will lead to the business in risk and business will be in loss and if we consider on other hand if cost is set to sale at $30, then management has to research about competitor’s product price in market because customer will always prefer product having less cost with high quality. So in order to fix the correct price, designer and research team has to carry out following tasks as mentioned below. Let us understand what types of costs are decided during design phase. Material selection for bicycle frame is the key factor during designing of an ultra cool bicycle. During selection of material for bicycle we need to consider the following terms. Bicycle frame material selection describes the weight of bicycle; it is proved that frame consist approximate 68 % weight and 49 % cost of complete bicycle. Material should be light as it will help to gain the smart speed but it must be noted that light material selection of bicycle should be balanced by other factors. On the basis of total weight of tube in lb, we may estimate the cost to acquire the frame material-aluminum from above table. Material properties are decided on the basis of application of product and customer requirement. For example if we consider the example of bicycle frame manufacturing , we will be able to understand the requirement of correct mechanical and other characteristics those are necessary for satisfactory performance. As we have discussed about the properties required above for better bicycle frame designing. Density of material should be lower as it will help to secure light bicycle frame and rider will gain required speed. If density of material will be high then it will reduce the rated speed. Material should have ability of easily weld able. Material should have ability to resist the formation of oxide so that life of product may be improved. Tensile strength should be high of material for bicycle frame as ductility play important role in designing of frame. There will be possibility of cracking of frame, if material will be brittle. Yield strength denotes about the force required to produce plastic deformation such as force required to bend up to a point where it could not be return to its original shape. Yield strength and ultimate strength of a material should not be very close to each other as for example in case aluminum bicycle frame has ultimate strength very close to yield strength and it will lead to brittleness of material and this case will be dangerous from safety point of view for rider . There should be good hardness in order to resist the impact loading. Cost of a material will decide the final cost of product, on the basis of final manufacturing cost management will decide the maximum retail price. Recycling potential identification is important in manufacturing process from environment point of view. After studying above mechanical properties we will be able to understand that why material properties are required for better performance of product. If we select cast iron for bicycle frame designing, we may secure this material in lower cost but this material will have brittle properties and density will also be high. Now we examine the effect on performance of bicycle operation. Rider will not secure desired speed due to high weight. Due to brittle properties Rider’s life might be in risk during racing. Similarly we may also examine the effect of ability of resistant against corrosion. 1. Initial cost of forging unit will be higher as compared to machining shop. 2. Maintenance cost will also be higher as compared to machining shop. 3. Surface finishing will not be good as in case of machining process. 5. Forged product requires various dies, tools, machines and man power. 6. Tolerance will be very less. You are looking for a manufacturing plant to supply your sheet metal parts. You know that you will be building many prototypes and producing in small batch sizes with frequent changeovers. Plant A is equipped with several Turret Presses. Plant B is equipped with several Punch Presses. With this limited information which Plant would seem to better fit your needs and why?????? Turret press will be preferred for frequent changeovers as cartridges of these presses will be easily changed with consuming less time as compared to punch presses. Turret press has ability to produce final product with better finish. 1. Modern machine tools are equipped with ability perform more than one function. 2. Cutting tools life is higher in case modern machine tools because there is no direct contact between tools and work piece hence there will be wear equivalent to zero wear. 3. Auto feed and controlling system is provided with automatic lubrication system for cutting tools. 4. Better surface finish and high accuracy are possible in such machines tools. 5. Head stock is equipped for heavy duty operation also for these task modern machines are equipped with patented – cam driven mechanism for auto gear shifting. 6. Guide ways are made with quenched and heat treated materials for better dampening ability and rigidity. 7. Changing of gears is automatic. 8. Compensations of tools are automatic. Material selection is key term during designing of a product. Material selection depends on following factors. Material selection influence service life, efficiency, product quality and most important decides the final cost of product. Equipment selection also play important role in design of a product. Let us take one example of billet. 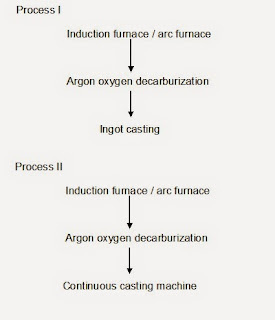 Billet might be produce after melting scraps in arc furnaces but if induction furnaces will be used then final product quality will be good. Process selection is back bone in designing a product. It must be noted that a bad process selection will not provide only poor quality of product but also there will be loss of time, loss of money, loss of manpower time, loss of brand image. 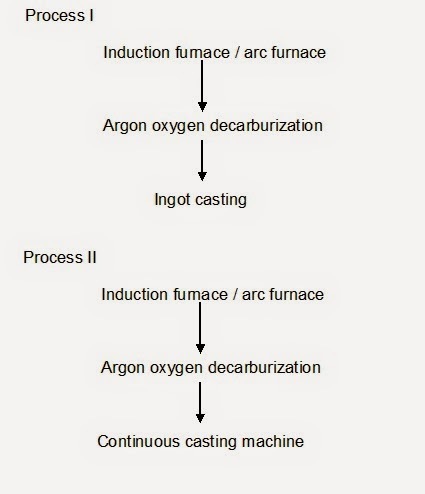 For example if we have to select a process to produce billet. 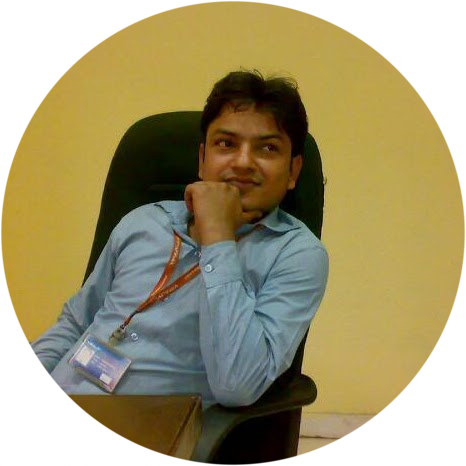 There are two processes, in second process, quality of product will be much better as compared to process first. In second process there will be less chances of creation of blow holes as compared to first process.